A large international pharmaceutical company was looking to support continuing education (CE) programs among nationwide healthcare professionals (HCPs) working in emergency and critical care medicine. The company recognized the need to increase disease-state awareness and patient outcomes for a debilitating and potentially fatal condition. RNsights proposed a one year CE accredited webinar with powerpoint slides and audio because 93% of those surveyed after viewing a similar RNsights CE webinar thought the presentation was the best online CE format. RNsights secured two nationally known and respected subject experts as speakers to develop and present. The RNsights team used several tools including emails, RNsights community newsletters, and online HCP communities to promote the webinar to relevant HCPs. 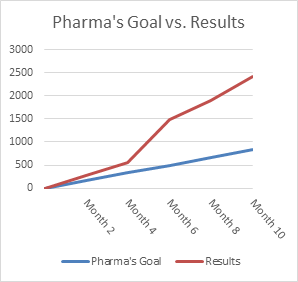 RNsights fulfilled 127% of the pharma’s goal for webinar views within the first 4 months and 240% within 10 months. Over 70% of those surveyed said they intend to make changes or apply knowledge learned as a result of the CE webinar proving not only interest in the topic but also that the content taught is making a positive impact on clinical decisions. The pharma company has now supported five successful CE webinars created and promoted by RNsights aimed at HCP targets in several different specialty fields.